China is one of the oldest civilizations in the world, and is currently one of the fastest growing and largest economies. China has a population over 1.3 billion, a fifth of the world; and the country spans nearly 10 million square kilometers stretching from the deserts of Mongolia in the north to the tropical Macau peninsula in the South China Sea. The demand for English teachers in China is extremely high! This program provides a comprehensive blend of training and orientation, pre-departure job assistance, and services to support you while you teach English in China, helping to ensure that you have a secure, rewarding adventure. Our unique combination of a comprehensive TESOL training and certification course, pre-departure placement in a paid job, Mandarin language training, and numerous financial incentives will give you the skills and abilities you need to live confidently in modern-day China. The TeachChina Program begins with an intensive TESOL training and Certification phase. The 4-week TESOL training program takes place in Phnom Penh, Cambodia, with two great optional weekend excursions. You will have a chance to meet participants in the other Asian programs, extending your LanguageCorps network and making great contacts for future travel or jobs while you teach English in China. Once you are accepted into the TeachChina Program, we will start working with you pre-departure to connect you with a position to teach English in China. At the end of the four-week certification phase you will travel to your destination city in China. The training in Cambodia includes 100 hours of in-class training and 20 hours of actual teaching practice with local students. Your classes will be observed by our professional training staff and you will be provided with constructive feedback to improve your teaching style. 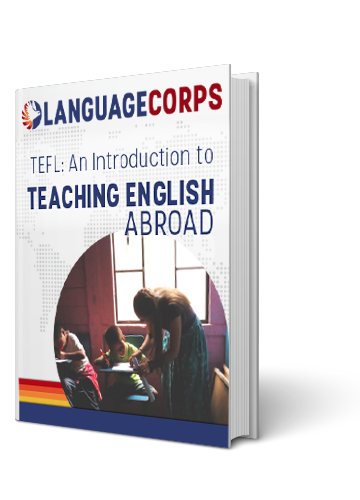 In addition to classroom instruction in effective EFL teaching principles and techniques, you will learn how to plan lessons, conduct effective classroom activities, and implement what you have learned in practice sessions with local EFL students. Course materials are included in the program fee. Accommodations during your 4-week program in Cambodia can be arranged for an additional fee in a nice hotel accommodation in the heart of Phnom Penh. All rooms have air-conditioning and western style bathrooms. Accommodations begin the Saturday before your program start date and conclude the morning after the final class. Additional days in Cambodia can be arranged before/after your course for an extra fee. You will be responsible for your own meals. Our recruitment partner and your hiring school will assist you in finding housing in China. 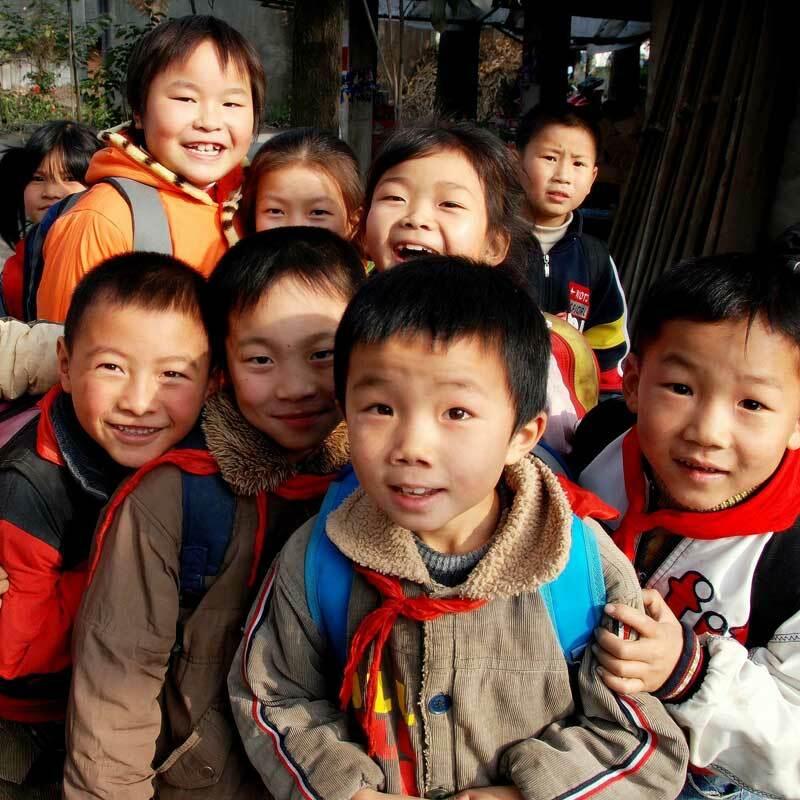 Teaching opportunities are available in locations throughout China. Each city in China has different requirements for foreign teachers, and your individual qualifications will determine where you are eligible to work. Once you have applied and been accepted to the TeachChina Program, you will be asked to submit a US$500 deposit to reserve your spot in the program start date of your choice (contingent upon space availability). Once you are enrolled, you will then be referred to one of our partner schools for job placement. LanguageCorps only places participants at schools that conform to local laws and provide work visas. Job placements will be in private schools. The classroom composition will vary in age and level, ranging from children to adults, although most students are elementary and middle school ages. You will likely find your Chinese students both cooperative and respectful, as teachers are revered and your students see it as a special privilege to have a foreign instructor. Class sizes in China tend to be bigger than in other countries, so don’t be surprised to have 30 students in your classroom. Most schools offer 6-12 months contracts, although schools in China offer quite nice benefit packages and will certainly prefer to hire teachers that sign a longer-term contact. Teachers in China get hired all year round. Your teaching position will be at one of our affiliated schools located throughout China. Teaching jobs in China rely heavily on your individual qualifications and preferences, which we always seek to accommodate, but job placements also require flexibility on your part. China’s complex systems of city-specific regulations and work permits can complicate things, but when you are accepted into the TeachChina Program, we will work with you to connect you with a position to teach English in China with good pay and benefits. These prescribed options are for your protection, as the consequences of violating local laws can be significant: it is not unheard of for teachers working illegally to be expelled from the country! To ensure that this does not happen, LanguageCorps only assists participants to obtain jobs at schools that conform to local laws and provide work visas to teach in China. There may be a short period of time between the end of training, and the beginning of your contract to teach English in China. Most people view this as a great opportunity to fit in a little travel before the job starts! A TEFL, TESOL or CELTA certificate is needed for teaching ESL in China. A 4-year degree is strongly preferred, but not always required. Your salary will be up to 9,000RMB per month (approximately US$1,500) or more if you have classroom teaching experience. Most schools provide a shared apartment and, after a security deposit, teachers pay only for utilities and phone. Monthly rent is typically part of your teaching compensation; where it is not, salaries are typically higher to compensate. Some schools provide either a housing allowance to rent an apartment, or guidance to find housing near the school. Given the low cost of living, you should be able to live very comfortably, and set aside some savings. To travel to Cambodia for your certification course requires a visa, with the exception of those who hold passports from Indonesia, Loas, Malaysia, the Philippines, Singapore Thailand and Vietnam. All other nationalities must obtain an e-visa prior to departure, online. This visa allows you to stay in the country for 30 days and would suffice for the duration of the course. The most common visa for teachers working in China is a Z visa. In order to apply for a Z visa, you need an actual job offer from a school. One of our affiliated schools in China will help you obtain this Z visa and provide you with all necessary documentation. What is so compelling about China? The numbers are staggering: China has a population over 1.3 billion, a fifth of the world; the country spans nearly 10 million square kilometers stretching from the deserts of Mongolia in the north to the tropical Macau peninsula in the South China Sea, including some of the most densely-populated areas on earth as well as some its most inhospitable, uninhabited regions; and over 4,000 years of continuous civilization, one of the oldest in the world. A generation ago, China began to open up to the world. The very first points of exchange, or “Special Economic Zones,” were established in Shenzhen, Zhuhai and Shantou in the Guangdong Province. Within a few years, Guangzhou and the rest of the Pearl River Delta became part of an open coastal belt, parts of which now include free trade zones, state-level economic and technological development zones, and high-tech industrial development zones. Teaching opportunities are available in many locations throughout the country. All placements are in urban areas, as rural locations do not typically have the resources to support English language schools. Hands-on-knowledge of China is in demand in every industry: from consulting to architecture to finance to medicine to engineering to sales. It is no accident that China is the fastest-growing destination for American foreign exchange youth. Beyond the practical advantages of good pay and professional international work experience, a year in the country allows LanguageCorps Teachers to experience the best of historic and contemporary China. Chinese culture is one of the oldest cultures in the world. Customs and traditions vary greatly by province and city, which makes Chinese culture extremely diverse. In this collectivist country, there is a great emphasis on family. Grandparents often live with their children. Ping pong is traditionally the national sport in China, although badminton, basketball and volleyball are also becoming more popular. China is also known for martial arts: over a thousand fighting styles that can be dated to the earliest ages. Martial arts are also referred to as kung fu, and is practiced not only for self-defense and to train soldiers, but also for mental and spiritual development and entertainment. Funny fact about tea, the national beverage of China, is that traditionally tea drinkers were considered to be elite. The type of tea you drink demonstrates your education, personal values and social status. You can also show respect by offering someone a cup of tea. There is no such thing as Chinese food. With dozens of provinces, cultures, and climates, plus thousands of years of history, such generalizations such as those frequently made about Chinese food in the West are impossible. At the very least, there are eight classic cuisines in China. The Cantonese cuisine of Guangdong province is broad-based and eclectic, emphasizing uber-fresh seafood, soups, and a sometimes shocking variety of meats. The Min cuisine of Fujian similarly focuses on soups and seafood, though with a slightly more fresh-water orientation. Top chefs in Shanghai are noted for their intense sauces and savory sugar-soy glazes, while traditional restaurants there represent every province and nearly every nation. Given that most Western clothing is made in China, fitting in requires merely an international sense of style. Visible piercings, other than standard earrings, and visible tattoos are usually not acceptable. If you have either, please discuss them with us. When teaching, women should cover their shoulders (sleeveless shirts are acceptable, but very thin straps or tank tops are not). No low-cut necklines or very short skirts. Open-toed shoes are acceptable. Male Teachers should wear long pants (not jeans), short- or long-sleeved shirt with a collar, and loafers or dress shoes. Long hair should be neatly tied into a ponytail. and again, did we mention the Great Wall?